Fight for the Empire and look like a boss. Feel free to use all the Tullius/PO (cuirass and sleeves) based textures in this mod. Any vanilla texture that has simply been darkened comes from the Darker Imperial Armor mod by 4killmaster. Check out the permissions on the 2011 Skyrim nexus site. Note for the meshes you will need the permission of the original mod author/s. 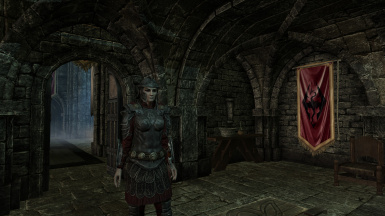 Once you have that you are free to use the meshes from this mod in your own. Credits go to rahman530 and hothtrooper44 for the meshes used in this mod. Many thanks to PixelGamer for showcasing my mod on You Tube. Thanks also go to the developers of Bodyslide and Outfit Studio and Nifskope. Without these two programs I would not be able to tweak the meshes. Uploaded standalone version and texture options. Diffuse textures now compressed with DTX 1. Fix to the male PO texture. 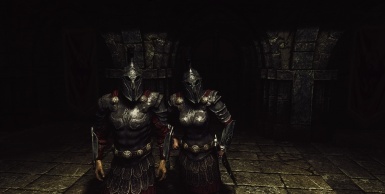 Uploaded esp for Tullius and PO to wear heavy gauntlets and boots. 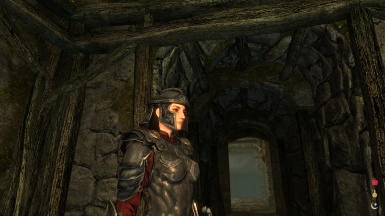 This is a texture and mesh replacer for the Heavy Imperial, Penitus Oculatus and General Tulius armors. There is a standalone version as well. 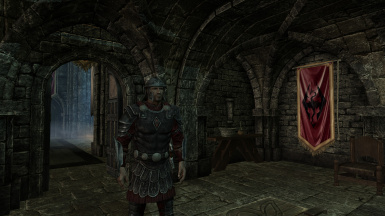 This mod was inspired by Ali Bengali's fantastic Perfect Legionnaire mod using the Heroic Imperial Armour meshes created by rahman530 as modified by hothtrooper44 (many thanks for allowing me to use these). Has the same stats as steel. 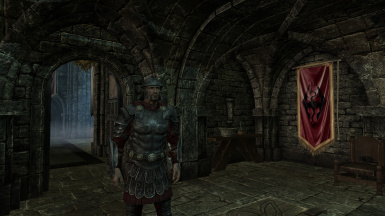 This mod originally was developed with a scaled back version of the artwork on the chest (henceforth referred to as finery) for the Imperial Heavy armor. 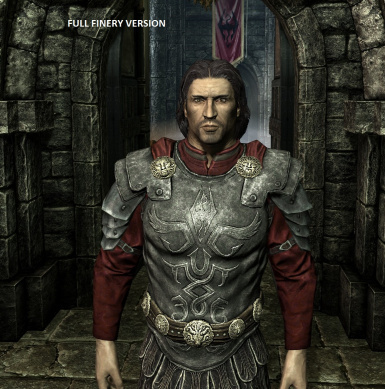 You can opt to download textures with Full Finery in the optional download section. 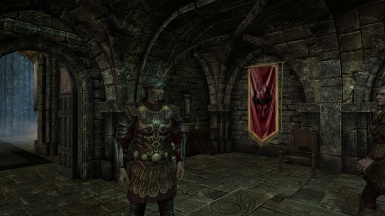 These textures come from the Darker Imperial Armor mod by 4killmaster. Thank you! Install with your mod manager of choice. 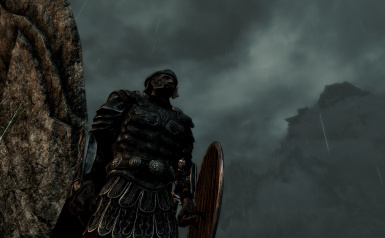 This mod should overwrite any other mods. Install any optional files after you have installed a main file.